We’ve all done it, arrived at our destination to find we have left our carefully packed makeup bag on the dressing table at home. Obviously you still need to look good, you’ve gone away for a reason, usually a wedding or party so no makeup isn’t an option. But neither is blowing £150 + to completely replace your existing kit. You don’t have to spend a lot to get a great result as it matters more about choosing well and finding the right colours than it does spending lots. 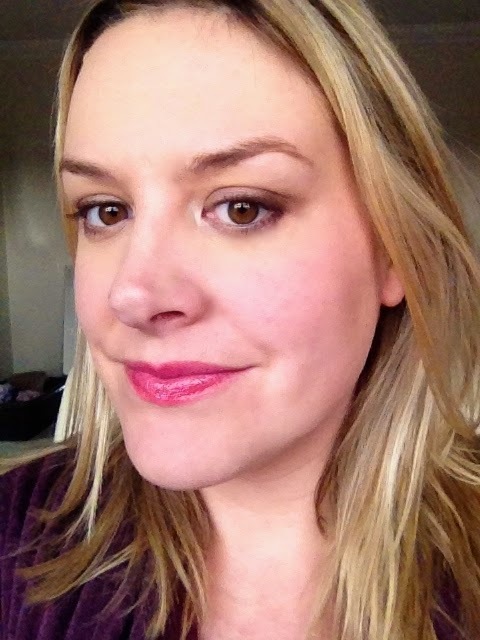 Foundation – I have to go with Rimmel Match Perfection £6.99 It is one of my top 3 budget foundations anyway. It gives a luminous soft finish and has a good colour choice. I often grab one of these when my skin is between shades so I can warm up or cool down an existing foundation (blends great with Revlon Colorstay as it extends the time you have till it sets). This is a good foundation for both dry and oily skin, though it definitely needs powdering on the t-zone as it has a dewy finish. Powder – Another Rimmel choice, their Stay Matte Powder at £3.99. This is a a standard beauty blogger pick. I use it in the shade “transparent”, which although slightly too pale on my skin, works as a highlighter too, as I only powder my t-zone. Minus points for lack of powder puff, so I have to invest in a brush, but I can at least use said brush for blusher and highlighting too. Eyeshadow – MUA – Undress Me Too – £4, This is a high street dupe of Naked 2 by Urban Decay (check out the name). I choose this as it has a good mix of matte shadows for use on brows and for lining, and sparkly ones for highlighting. I use shadow as eyeliner anyway as I find it lasts longer and blends better. The quality of these shadows is amazing, they are really soft and there is very little fall-out from the powder onto your cheeks. Mascara – MUA Extreme Curl Mascara £2– This is amazing, it is very similar to Maybelline Great Lash. I imagine if you need a mascara for volume primarily, you probably won’t get on with this, but I prefer a lengthening mascara so I am majorly impressed for £2. The applicator is curved and quite dainty so good for the lower lashes. Blusher – MUA Blush in Bubblegum – £1 – I use one of these on most days, they are highly pigmented with really cute colours, they are a bit annoying in that they create quite a bit of dust when used, but so do Benefit ones and they are 20 times the price! Go steady as this stuff is potent. Lip Colour – Maybelline – Baby Lips in Cherry £2.99 – This isn’t just a lip balm it’s a lip colour too, it is buildable so just add more for a darker colour. I would have chosen a Revlon Lip Butter, but at £7 a go, it will have to be these, I find these similar to Kiehl’s Lip Balm as they give great shine without any tackiness, but they suffer from seriously naff packaging. Eyeshadow Brush – Ecotool’s brushes apply colour and blend well too, you will need to wipe between colours though, obviously! Angled Liner Brush – to apply eyeliner, choose a dark shade from the palette and tight line your lashes and blend out with the eyeshadow brush or you can use a drop of water to make a more liquid consistency if you prefer cats eyes. 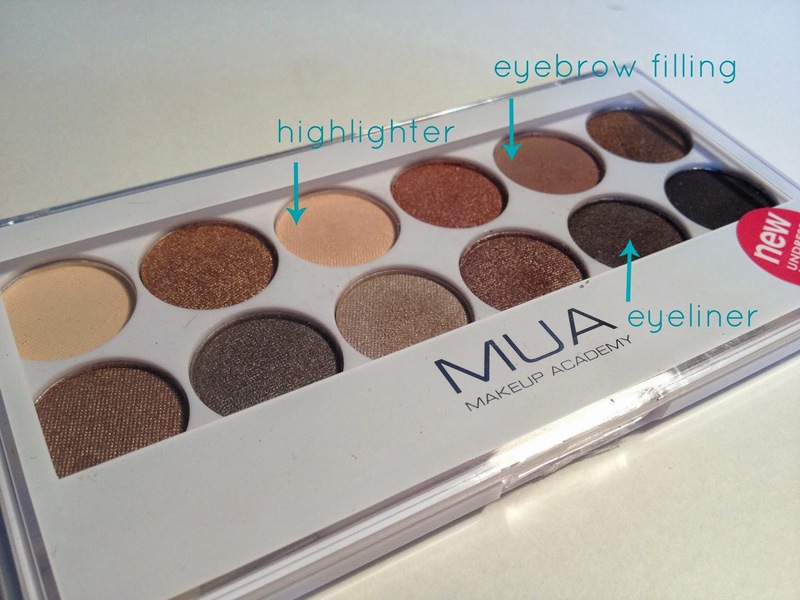 You can also use this to fill your brows using a suitable colour from the eyeshadow palette. I applied the whole look yesterday and this is how it turned out. Not too bad for £30 including brushes, plus you’d get a few new items to add to your kit. The only thing I’m not very happy with is the brows, maybe I could use hairspray or something to fix them better and use more colour. great post, some of the best makeup products I've used are the most inexpensive!